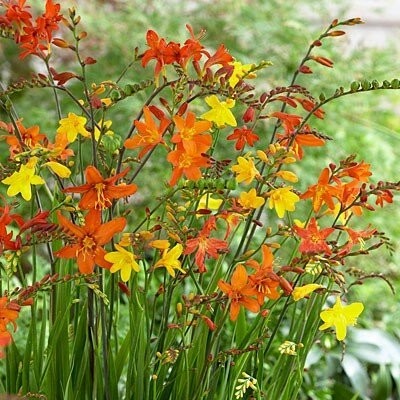 Pack of THREE Plants in assorted fiery shades, supplied in approx 1-2 litre containers. Our Crocosmia Plants in summer when in bud and flower are always looking hot! Typical Plants as supplied in summer are pictured.